Dave Matthews Band treated festival-goers to a supercharged and electric set as the closer of the inaugural Mile High Music Festival outside Denver, CO this past July. Refreshed from a week-long respite midway through the annual summer tour, Dave Matthews Band delivered a incendiary two and a half hour performance, including new covers unveiled earlier in the summer. Highlights of the Live at Mile High release include Jimi Thing, which features a commanding solo by Boyd and Dave’s entertaining scatting. Carter’s thundering drum solo on Two Step, and Tim Reynolds’ solos on You Might Die Trying and Proudest Monkey are not to be missed. The So Much To Say segue into Anyone Seen the Bridge> Too Much> Ants Marching is a truly remarkable part of the Colorado show! DMB’s cover of Peter Gabriel’s Sledgehammer will make its album debut on the Colorado release. 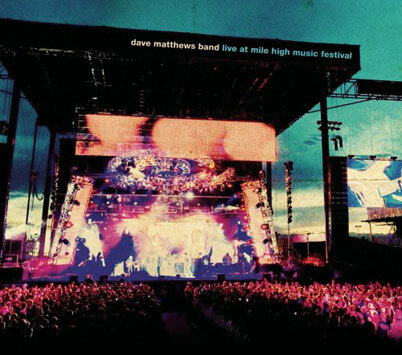 From the crowd stirring opener, Don’t Drink the Water through the prized #41 jam, to the triple encore ending with Sly and the Family Stone’s Thank You (Falletin Me Be Mice Elf Agin), Live at Mile High Music Festival is a must-have for the DMB collection.